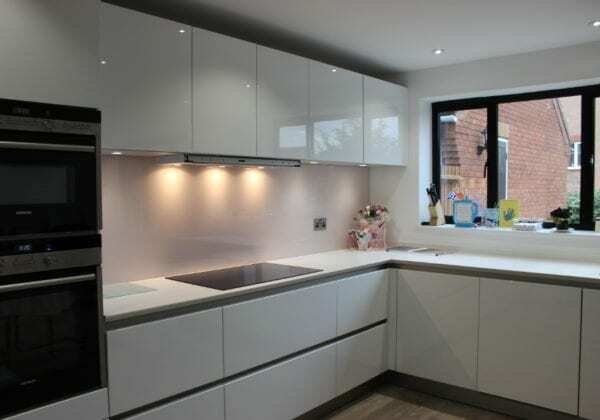 The kitchen area was formerly a diner, utility and kitchen in three small separate rooms but has been converted into one spacious open-plan kitchen diner. 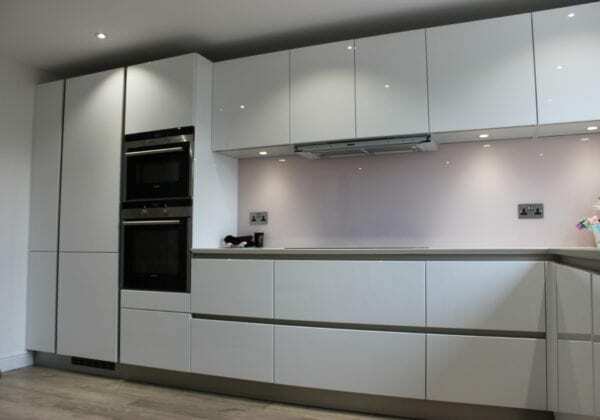 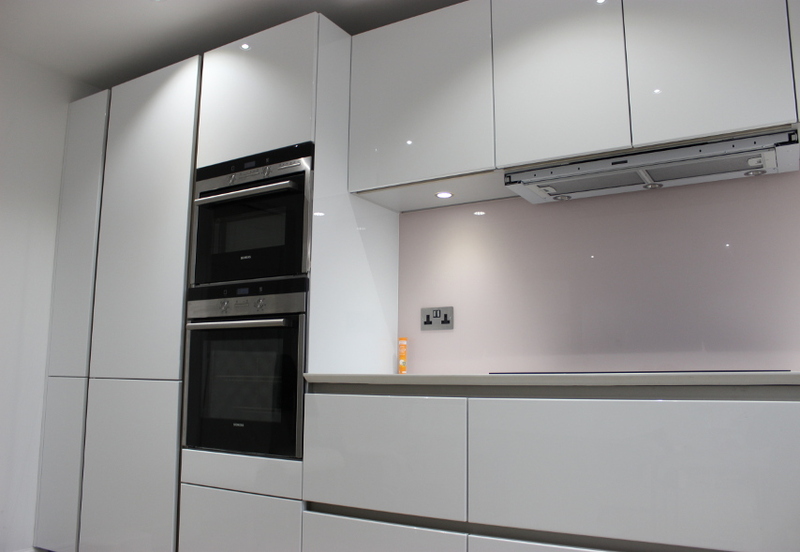 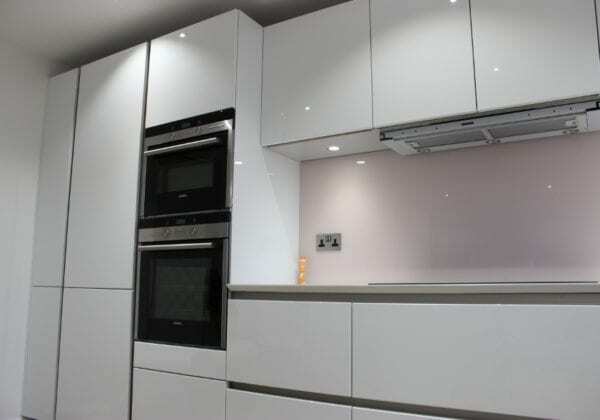 The units are in Crystal white high gloss lacquer from our Next125 range. 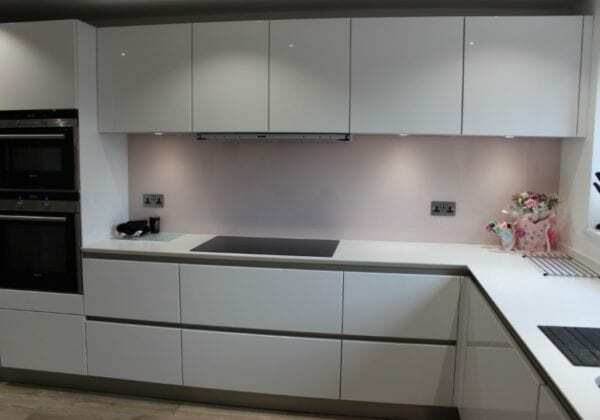 The worktops are absolute blanc composite stone 30 mm thickness with a ‘bird beak’ edging. 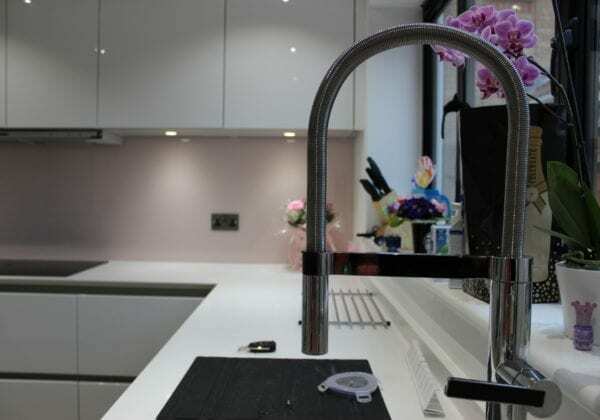 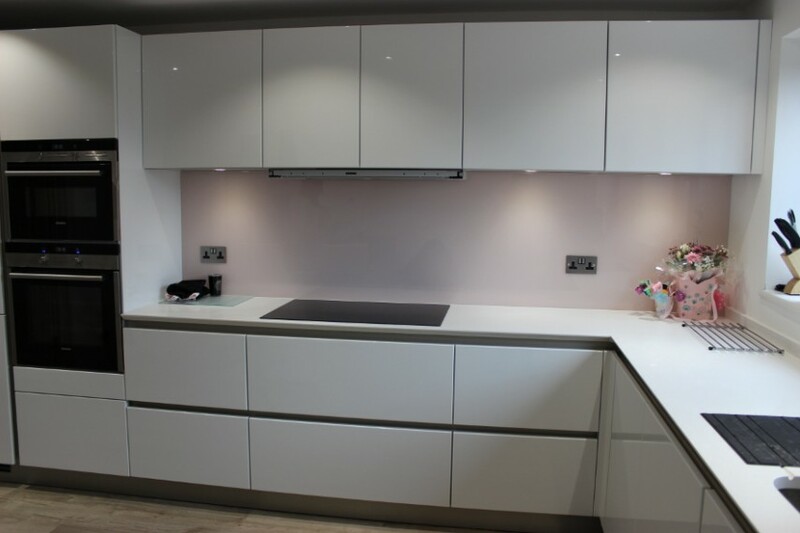 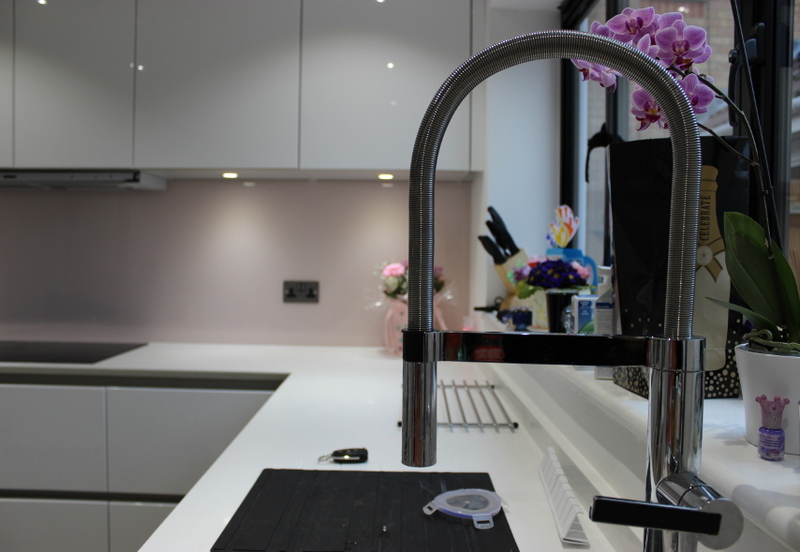 The glass is 6 mm toughened in soft pink colour.